I have a tip to share with you today. Did you know that you can turn any framelit or thinlit die into an embossing folder by using the Big Shot embossing mats? They are only $21.00. 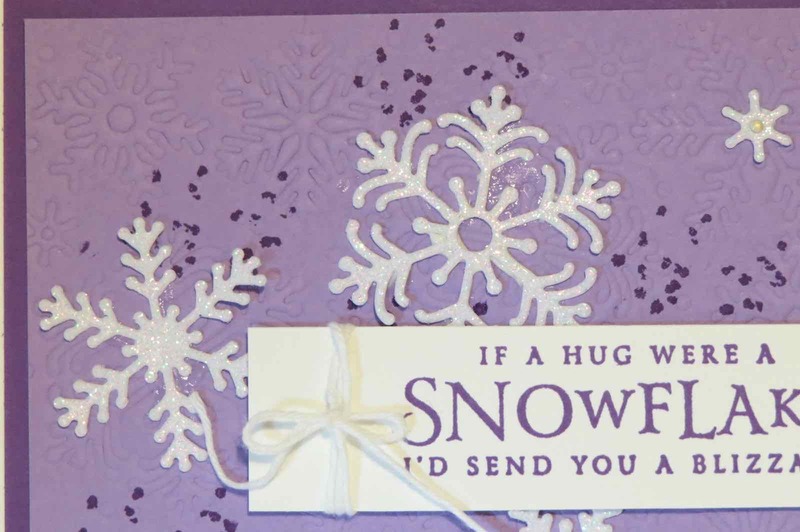 If you look carefully, you can see the embossed snowflakes on the Highland Heather card stock. 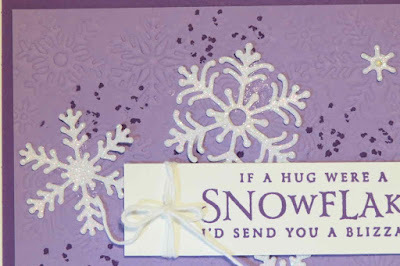 The sentiment was stamped with Gorgeous Grape ink, on Whisper White card stock. 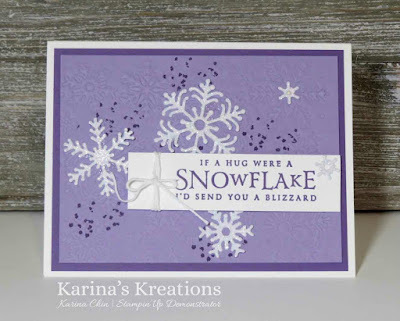 I cut the snowflakes from Sparkle Glimmer paper. To order your supplies, please click on a picture below.